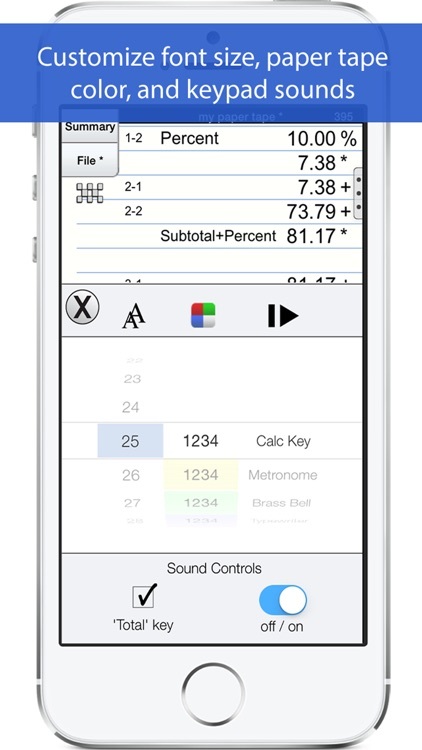 'Adding Machine 10Key iPhone' behaves like a true '10 Key' or 'printing calculator' such as those made by Monroe, Casio, Sharp and others. 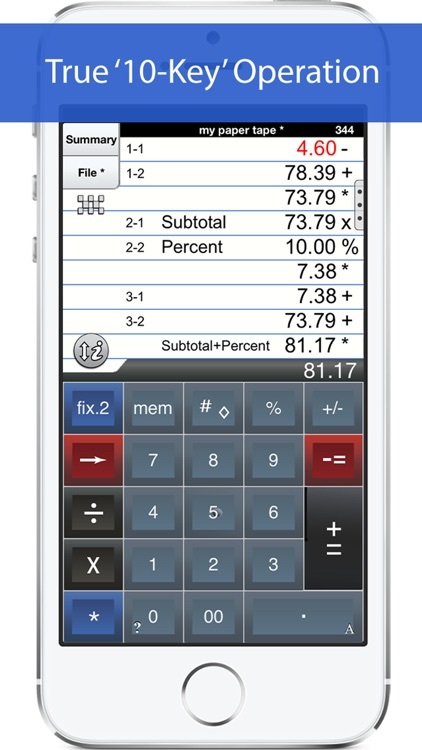 A total is obtained by pressing the asterisk (*), operator entry is reversed, and percentages are obtained by multiplying and adding to a stream of numbers. PLEASE SEE THE 1ST FAQ BELOW. 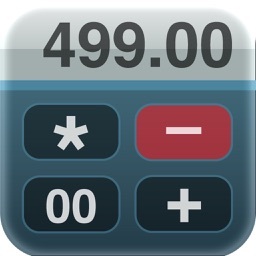 Adding Machine features dual keypads with a total (*) key on either the left or right side (Sharp or Canon style). Try before you buy. 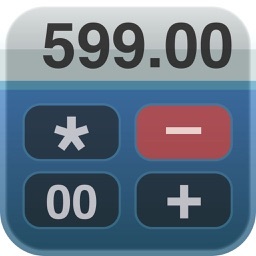 Find our 'Adding Machine Lite' by Richard Silverman in the App Store. Currently featured in iTunes "What's Hot" in the Finance Category for iPad. 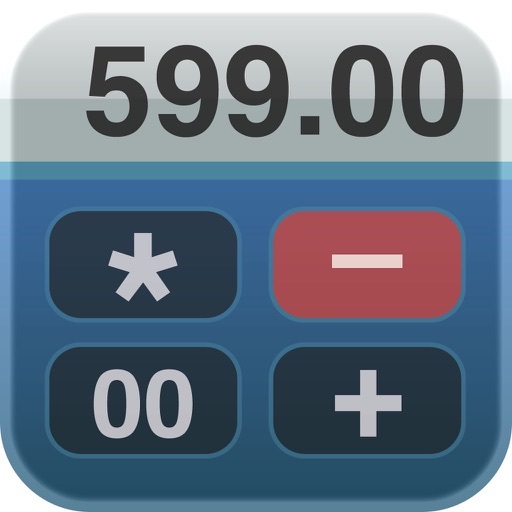 Strategic Finance (Tools of the Trade): "If you're looking for a professional desk calculator that can give you full 10-key accounting functions with a tape you can name and save, edit, e-mail, or print, check out Interlocken's 10 Key Adding Machine app." Q1. 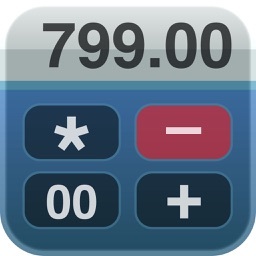 What is the difference between 'Adding Machine 10Key iPhone' and 'Accountant Calculator' in the App. Store.? A1. Both are single-column adding devices and both have iPad versions with full size 1:1 keyboards. '10 Key' behaves the same as a 10 Key Adding Machine with reversed operator entry while ‘Accountant Calculator’ supports the free chaining of +, -, x, /, %, √, 1/x and is easier to use if you are not familiar with how a '10-key' works. A2. 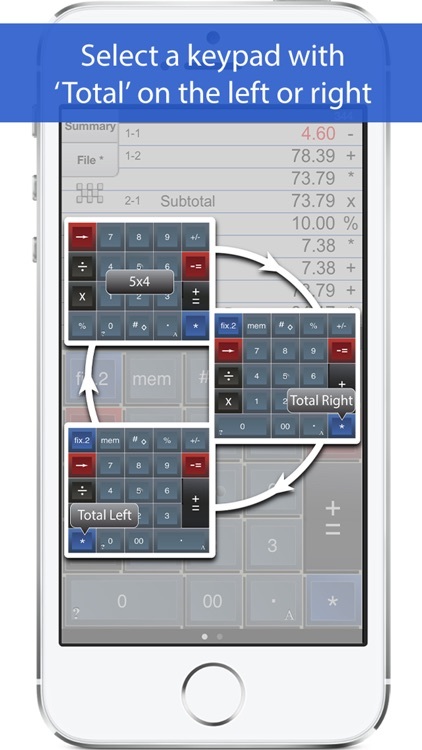 Checkout the iPad version with large (1:1) keyboards and several aids for touch-typing. A3. The quickest way is to double-tap the calculator's large "i" action icon to the left of the calculator's LCD display. A4. Touch any line of the paper tape to go into edit mode. Touch the side controls: Add Line, Delete Line. 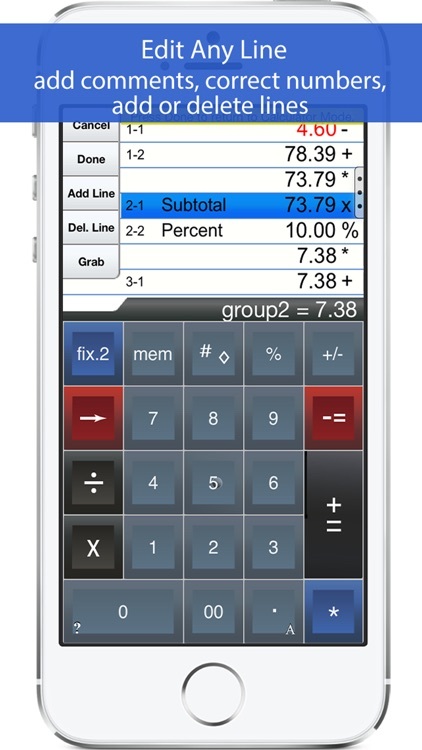 You can also edit numbers. Press Done to return to Calculator mode. Q5. How can I have my 'total' key be on the right side? A5. Press the checkerboard icon on the left side of the paper tape until the keypad you want is displayed. There are three to choose from. Q6. Tell me about Email, Printing, and Exporting a Paper Tape. A6. From the Export dialog, select from: Email, Print, Copy or Open-In. Email includes a pdf attachment. Print requires an AirPrint capable printer. Open-In will cause a menu of 3rd party Apps to appear that can receive a hardcopy of your paper tape; for example, iBooks, DropBox, and 3rd party printer Apps for Brother, HP, Epson, Canon and more. 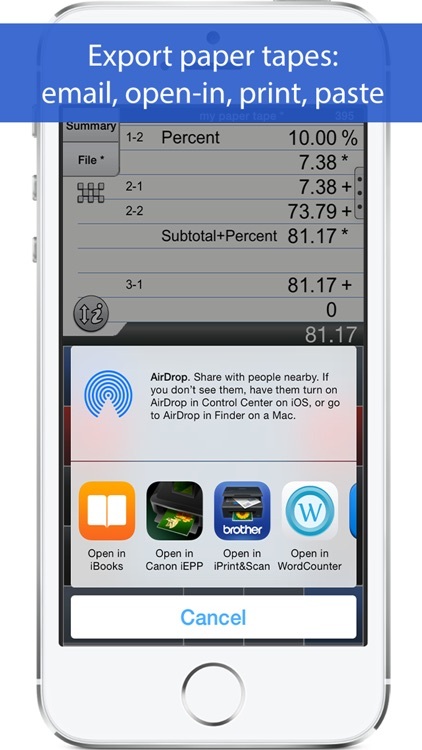 With these print directly to a network reachable printer (even if it is NOT AirPrint capable).